Thank you to @pure.skincare.london for sending me their Black Mask to try! 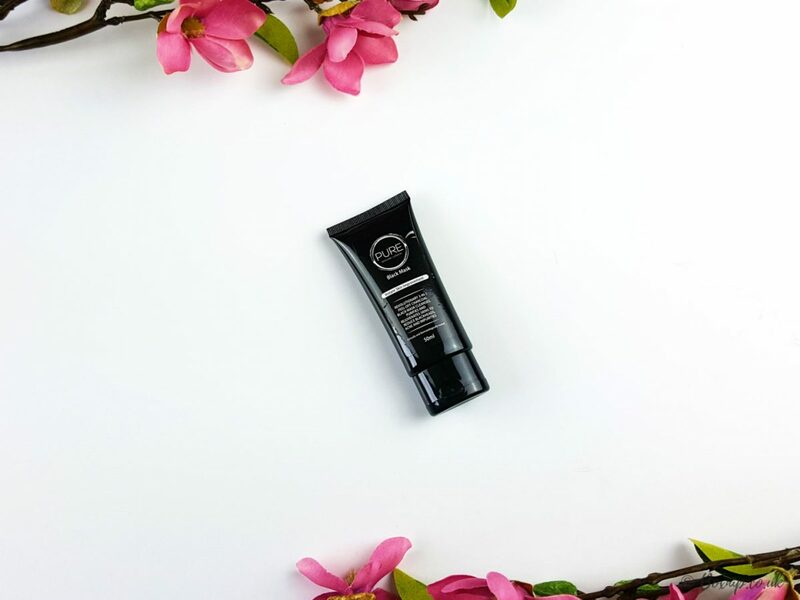 It’s a 3-in-1 peel-off charcoal black mask that cleanses, purifies and will rejuvenate the skin to reduce blackheads, acne and impurities! I do love a good peel off mask! I’ve tried a few different black masks and found this one to be very gentle on the skin compared to the others. A lot of peel off masks can be harsh and too drying on the skin, leaving the skin feeling very tight and dehydrated afterwards. Sadly I couldn’t see what it pulled out as it was just too hot and the mask balled up together as I removed it. However, my pores are more oily than they are filled with blackheads as such. My skin definitely felt a lot less oily and looked visibly brighter. It was also really soft too. It just looked like it had had a really deep cleanse. As you can see in the after pics above, my pores look really clean and my skin doesn’t look in the least bit shiny or oily at all. For those that like these kind of masks but don’t like how painful they can be to remove sometimes – we all know how they can tug at the peach fuzz if you aren’t someone who shaves that off – I am, so it doesn’t matter to me – then this mask may be your answer. You can see it didn’t even make my skin red at all. This mask was by far the easiest to remove and was totally pain-free for me. I’m definitely going to use the Pure Skincare London Black Mask again. I really enjoyed the whole experience. My skin felt great afterwards and it really helped to give my pores a thorough cleansing without being harsh on my skin. You can purchase via Amazon link below or go to Pure Skincare London for more ways to purchase.